One of my main reasons for starting this blog was to help myself budget. To keep track of what I was buying, how much I was spending, and how much wear I was actually getting out of my investments. I'm a little fuzzy on exactly when that stopped, but it did. Not that I suddenly started buying $300 handbags every time I turned around, but I have been making a lot more impulse purchases (especially at the thrift store), and not keeping track of exactly how much I've been spending. For this upcoming Fall and Winter, I've finally decided to join Jessica, Meg, and Rachelle in embracing the French Wardrobe Challenge. Hopefully I can start making smarter purchases and work towards curating my perfect closet. If you aren't familiar with the concept, you can purchase as many basic pieces as you need to fill gaps in your wardrobe, along with five standout pieces for the six month duration. Accessories don’t count, unless you’re spending a lot more than usual. Socks and underwear don’t count. *This is my own personal list, adapted from the 'official' one to remind me of the things I do need to purchase. Additions to the list are at my discretion as they arise. I'm also giving myself a budget of $500, and will be posting updates on my purchases and progress each month. 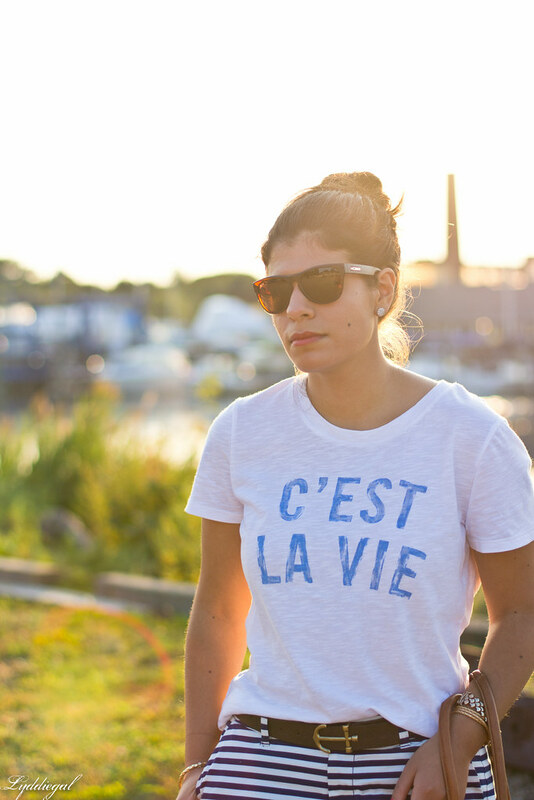 Hopefully I can rise to the challenge, and in the meantime, savor what will likely be my last graphic tee purchase for the next six months, because no matter how fun they are, I know I will not be including one in my five! Such a cute tee! And I love the shorts!! A great weight. I am loving that the majority of the bloggers I follow are trying to simplify and organize their wardrobes and refine their closets. It's inspiring to know that we're all working towards the same goals of dressing better and striving to quality over quantity. Also that we're not all doing the same challenge. I'm looking forward to seeing what you add and come up with! 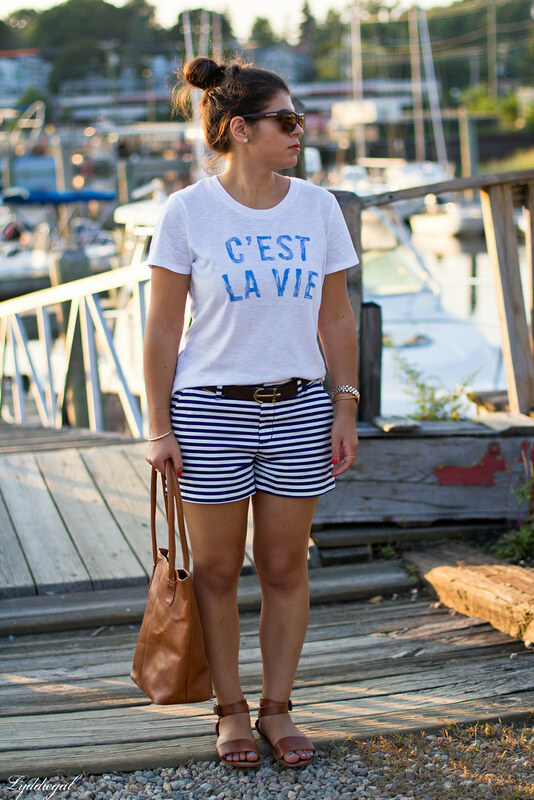 Love the nautical styling of this outfit! The shirt is super cute, I love graphic tees! Good for you for embracing a budget! I actually, for once, have not had a problem not shopping lately. Between pregnancy and still being 25lbs. over my original size post-pregnancy, nothing fits me right in my own closet and I don't want to buy anything not in my size either--be that motivational or denial. I am so glad that you are going to be taking this challenge. I think it will be great and I am excited to hear how it goes! Good for you! I can't wait to see what you buy. This shorts and t shirt outfit is right up my alley. It is really cute with your top know. I really can't wait to see what you do with this...I know it will be super stylish though! I should really check out this whole french dressing challenge. I have caught myself really focusing my attire back towards work wear. I even put a cargo style jacket back the other day in favour of a more elegant car coat. Sounds like a great challenge. 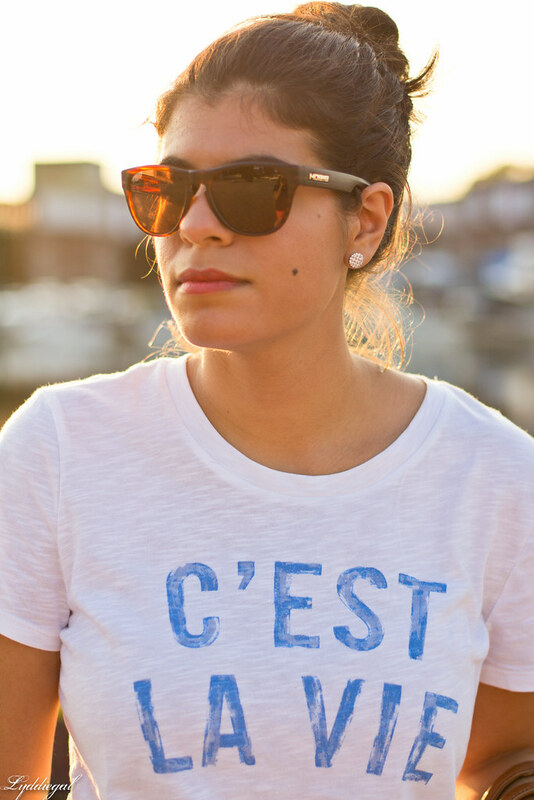 Love the C'est la vie tee - I have the JCREW version. Great idea! I can't wait to see what you pick up. Super cute outfit. This is adorable. I don't need much this fall, so no list as of yet. Love this post, LOVE that you thrift. I totally understand you about being on a budget. It's actually how I got into thrifting -- to budget msyelf. My biggest rule about thrifting is that I don't buy unless I know for certain that I will wear within the next 30 days and I stop buying when I have no room in the closet. When room runs out, things leave the closet. I am anxious to see how you do with the curtailing this fall. I love that idea. I have been enjoying reading Rachelle's recaps. You will do great! And I love that tee! You do nautical so well! I adore those shorts! Good luck with your challenge! It sounds like a wonderful idea! I love, love, love this look. Super casual yet chic!!! I did this challenge while I was in Paris and it actually worked quite well for me. 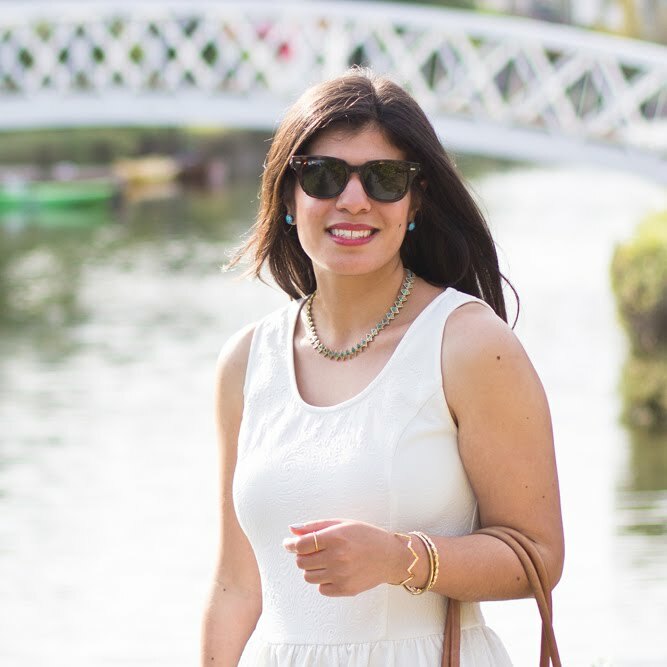 At the time I was very focussed on blogging because I didn't have another job and the challenges really pushed my creative limits, while saving money that I needed for more practical things like groceries - and more fun ones, like more trips. Even if, ultimately, you colour outside the lines a little bit, I think it's a completely worthwhile experience and one I would probably embrace again, particularly if I were living in Europe and wanted a good way to save up for a few really amazing pieces in a season. Good luck! Wow, I like the plan, I have a french friend who told me that Americans spend too much on the random trendy stuff that goes out of style and to spend my money on quality classics instead...I still only sometimes do that because I have too much fun with trendy purchases...but yes, this is the way to have the ultimate wardrobe. I'm excited to see this challenge! Should be fun! I love your outfit, you look great! Awesome pictures! Good for you Lydia! Quality lasts longer too. HaHa Your shirt says it all! In love with that shirt!! And those blue stripes are so fun and classy! 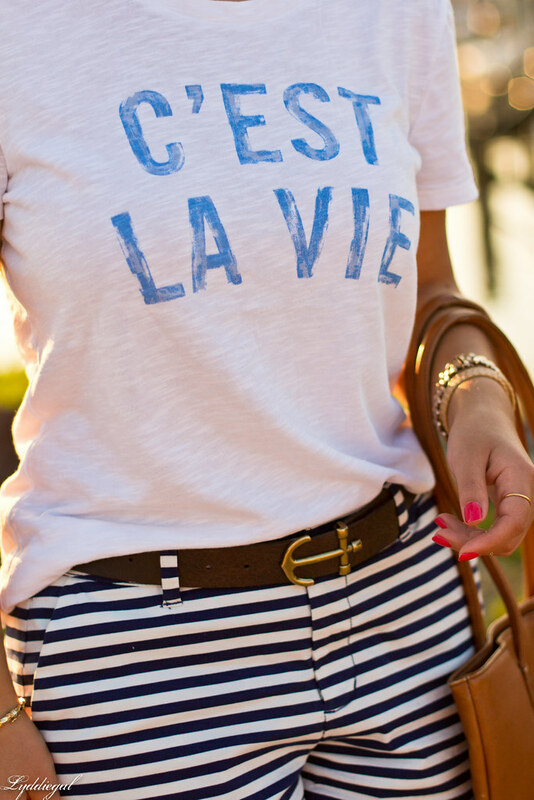 Well I love this graphic tee and striped shorts! I think the French wardrobe is a great idea--I've read a little about the concept before, and I'm definitely intrigued. I'm excited to hear and see your experience with it! 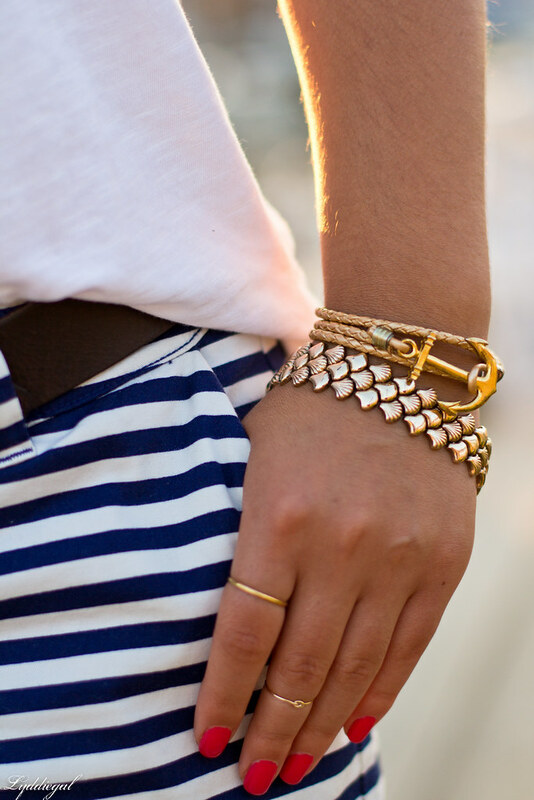 Love the shorts and your shell bracelet is so cute! You can do it dear! You are also reminding me to find a striped shirt to love. I hope you have a good week! but I am not personally ready. 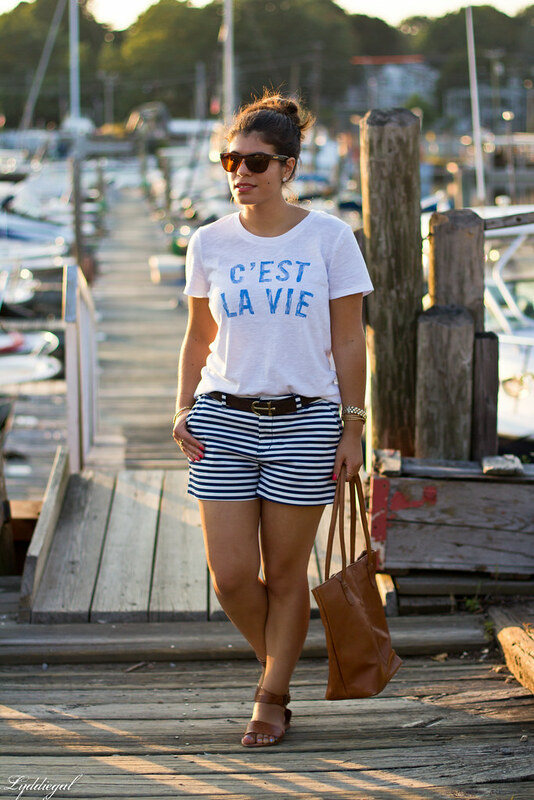 You always knock it out of the ballpark with the sailor trend. I really like this idea! I definitely need to replace some of my items with higher quality fabrics. I just have trouble with the "quality vs. quantity" thing...haha.